Michael D. is one of those guys that just comes in, gets his work done, and goes about his day. He embraces and lives our message here at Windy City; that the quality of our health determines the quality our lives; that we should constantly seek adventures, challenges, ways to better ourselves...so that we can be the person we were meant to be. And we love him for it. Michael has probably taken every single class at Windy City at least once; and we love him for that as well. Adventurous, up for anything, and always eager to learn more, Michael lives life to the fullest. We're proud to call him one of our very own and have him represent Windy City. Congratulations Michael! How has training at Windy City helped you become the person you were meant to be? It taught me that my physical fitness was essential to my mental health, which I never fully understood in the past. Before I started at Windy City, I was I extremely out of shape and very lazy. I would drink, eat unhealthy food and slay on the couch and watch TV. Needless to say I was in rough shape, my sister, who had Cystic Fibrosis and had gone through 2 lung transplants, passed away in August 2015. I was pretty severely depressed but didn’t know how to get out of my unhealthy, sad, and weak state. At the same time my brother/best friend Kevin, who also has Cystic Fibrosis had been doing his own CrossFit workouts by himself at 5am in the morning, given to him by my good buddy, Jon Rowley, who owns a CrossFit gym in Kansas City, 2020 Fitness. Jon was sending Kevin daily workouts for him to do on his own, and Kevin got into the best shape of his life, and he was going to beat Cystic Fibrosis. When I saw what kind of shape Kevin was getting into and I was laying on the couch and watching TV. After my sister passed away my buddy Jon bet me a pair of shoes that I wouldn’t go to a CrossFit class 20 times in the month of October. I found Windy City pretty quickly, it was just a couple blocks from my office and I saw immediately it was best in class, in all aspects; equipment/facilities, coaches, and training. When I first started, I was going to the 6:30am class pretty religiously, which put me on a schedule that I really never had before. This helped me tremendously with my job, I was able to get showered and at my desk at 8am ready to take on the day. I’m not sure how long I was going to the 6:30am classes but it lasted awhile. Since then my job has taken me in different places and my schedule changed, but my commitment to the gym never changed. I have pretty much gone to every class time Windy City offers, my schedule changes so much. About 9 months after my sister passed away, my brother, Kevin, who was going to beat Cystic Fibrosis was randomly diagnosed with a brain abscess, they removed it and he was recovering nicely. But 5 days after his surgery he had a coughing attack, essentially “coughed his brains out” and had a brain bleed and/or a stroke and they needed to do an emergency surgery/Craniotomy, which left him without half of his skull for 3 months, and it was at this time I think I was at my absolute worst, even though I was still doing a little bit of CrossFit, I was severely depressed and lost at life, I think the time Kevin was without half of his skull was the worst time in my life. It wasn’t until the following year (2017) that I went to Burning Man. 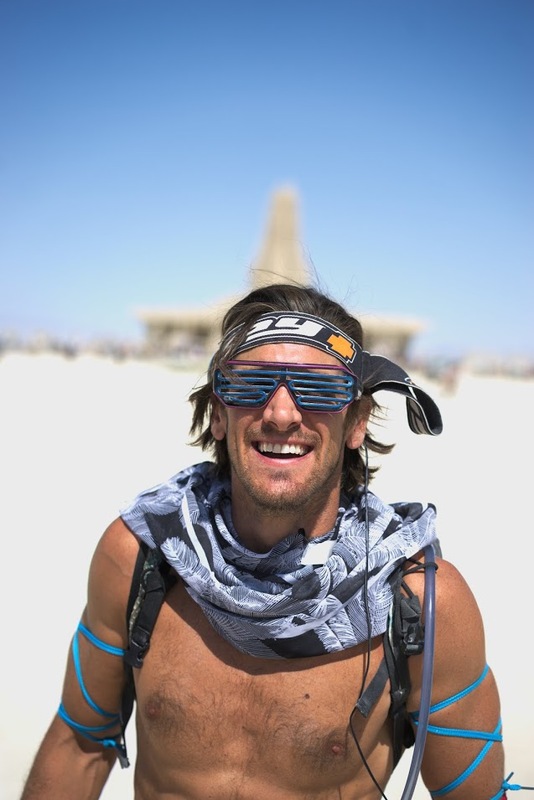 What I learned at Burning Man was that I had almost everything I wanted in life but I still wasn’t happy and the reason was I wasn’t giving back to people. From there I decided to make it my personal mission to get my brother Kevin feeling better and then everyone around him to feel better. I started with Kevin’s nutrition, I felt that was most important to get him better and start letting him feel better. At the time, his diet was a lot of sugar and starches (gummy worms, Gatorade and bread). I tried to remove most of that out his everyday diet, even going as far as throwing all the wheat and sugar out of my parent’s refrigerator and pantry, where my brother was living. This did not go over well with my mother and unfortunately continues to hinder our relationship ;( I believe when we think about our diets it’s not so much about what TO eat, it’s what NOT TO eat. The next aspect of getting Kevin better, which I kind of fell into was a new way of staying healthy and I found it by reading a book “What Doesn’t Kill Us” by Scott Carney. The book discusses how everyone can make themselves feel better if they stick to a regime of a new form of breathing and being exposed to cold weather/water. Through reading this book and learning the basics of the Wim Hof Method online I realized that ANYONE can do it (similar to CrossFit), no matter what problems they have. I found there was a 6 day trip to Poland where I could learn the ideas of the method more fully, and the premise was, anyone could do it as long you were able to walk and have the will power. 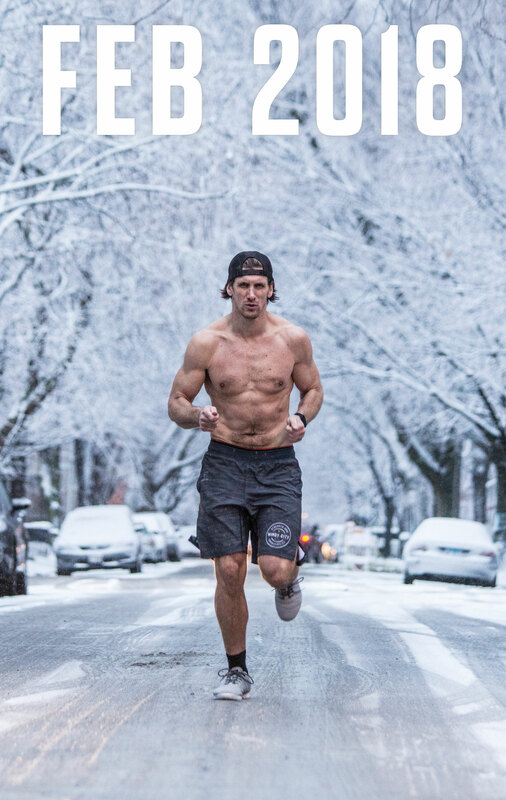 "Wim Hof’s Motto is to have everyone be Healthy, Happy and Strong, and I think we have the same goal at Windy City. A lot of times I think we forget that a Health Body also needs a Health Mind and vice versa." I decided it would be a perfect place to bring my dad, Mario (rather surprise him). He would be the perfect candidate, he’s able bodied, but he’s kind of out of shape, he’s “older” (I won’t give you his age because he hates that, nobody knows), and he has a lot of will power. All I told him was that I was taking him on a trip to Poland, and that was it. He was excited because over all these years he had always taken me places but I had never taken him anywhere, so he was IN. I made him read/listen to the book “What Doesn’t Kill Us” on the plane to Poland, after we landed he finished it and couldn’t believe what we were about to do. He felt there was no way his body would be able to do what the book told him what he was about to do (i.e. 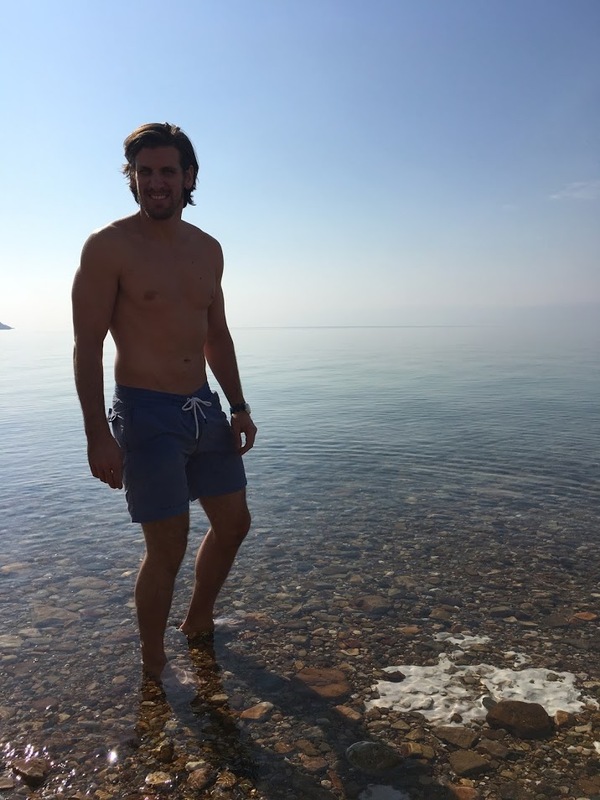 jump in freezing cold rivers and climb a mountain in just his shorts). After all...he hates the cold. My buddy Jon who gave me the book also joined our trip. My dad legitimately thought there was a chance he could die. After we calmed him down and got him to our hotel with the rest of the group he was the only one on the trip who didn’t sign up, or want to be there, but he was open for a new adventure. To make a long story short, the trip was amazing and almost not possible to explain. In the most basic way, we learned a new way of breathing and a way to overcome the cold, which can be applied to almost everything in life including but not limited to the way we perform at the gym, focus at work, and how we interact with all our personal relationships at home. My goal is to bring back what I learned on this trip and teach it to those closest to me, starting with my family and friends, also including the Windy City community. Wim Hof’s Motto is to have everyone be Healthy, Happy and Strong, and I think we have the same goal at Windy City. A lot of times I think we forget that a health body also needs a health mind and vice versa. Still working on getting Kevin better, and it will be a constant battle for the rest of my life to get him back to where he was before his brain injury, slowly but surely, we’ll get him better. Taking me back to the basics of how we were meant to move and life as human beings. Keeping a schedule, even though I still don’t have one today. I know I have to get a workout in everyday, no matter where I’m at. Laying on the ground breathless and drained makes me feel alive. The best workouts I’ve done are the ones where I’m physically completely spent and literally can’t move at the completion. Team mentality of all doing the same workout and getting through it together. I’d prefer to workout with a group than by myself. 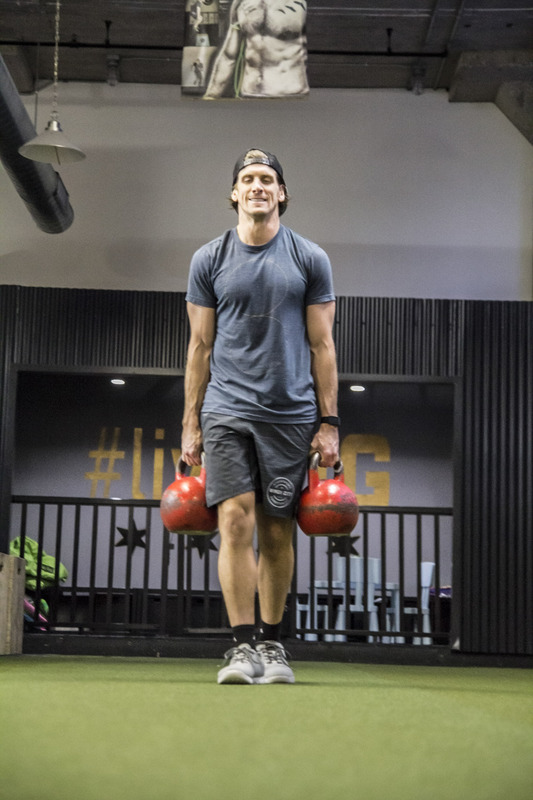 Windy City has an array of options for all athletes and doesn’t simply focus on the sport of CrossFit, they welcome all who want a chance to feel better in anything they do in life. They have it all under one roof, from the high school student who wants get better at their sport, to the pregnant housewife, to military training, and finally to a business professional like me who just wants to feel better everyday. I would attempt to rid the world of all diseases, show people the power of natural medicines, the idea that we all can make each other feel better on our own. If you'd like to give to my sister's foundation, you can donate here. The Julie D. Foundation plans to give back to the Cystic Fibrosis Foundation, Make-A-Wish Foundation, and Gift of Hope whom, without their support, we would not have been able to enjoy Julie’s smile for the years we did. Additionally, the Foundation will help fund a scholarship in Julie’s name at Immaculate Conception College Prep, Julie’s alma mater. Fitness: To be able to do any physical activity, at a moment's notice without any further training. Workout in cold weather or cold temperatures. Professionally: I love my job. Become a Principal of my company. I work in Commercial Real Estate and I want to be a part owner of the company. I also want to continue to buy commercial real estate for my own portfolio and soon enough start buying large enough properties to bring in outside investors. Personal: I was told when you are ready, the right woman will find you; well I’m ready for the right woman to find me. Took me awhile but I’m finally open and ready enough to take on a real/serious relationship. Contrary to popular belief…I’m not crazy. Don’t judge or let anyone judge you. Congrats, Michael! Appreciate the stories and perspective.